The P13W is a new style of bulb that is slowly becoming more and more popular among many car manufacturers. It was first introduced on the 2010 Chevrolet Camaro with factory HID headlights for the daytime running lights, but has slowly adapted itself to be the factory fog lights for the newer Toyota Highlander as well as the daytime running lights for the newer Mazda CX-5 with factory HID headlights. Whatever the application may be, we have an affordable solution to replace those lights with an LED bulb that is more efficient and stylish than the factory incandescent bulbs. These P13W LED bulbs are powered by ten 5W high power CREE XP-E LED diodes per bulb; with eight on the side and two on the top accompanied with a 3x magnifying optical lens, they provide a 360 degree coverage of light while providing projection. 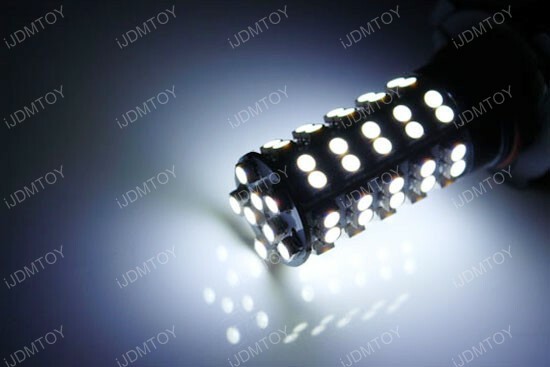 The bulbs operate at 10W, but have a maximum capability of 50W; these bulbs do not constantly operate at 50W due to issues such as overheating that will occur. These lights are available in the 6000K Xenon White color only, but should match most factory and aftermarket 6000-8000K HID lights. 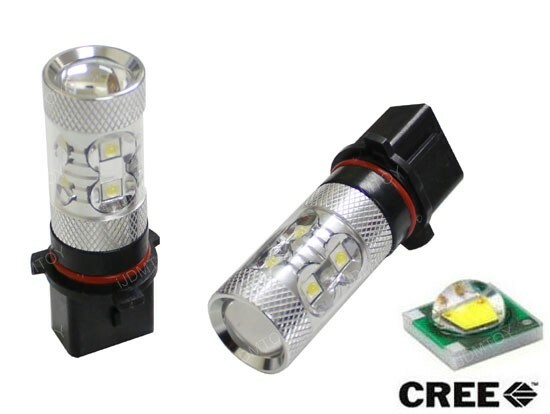 The P13W CREE LED bulbs are plug and play with the compatible applications and requires no modification to install which makes it a perfect DIY item. 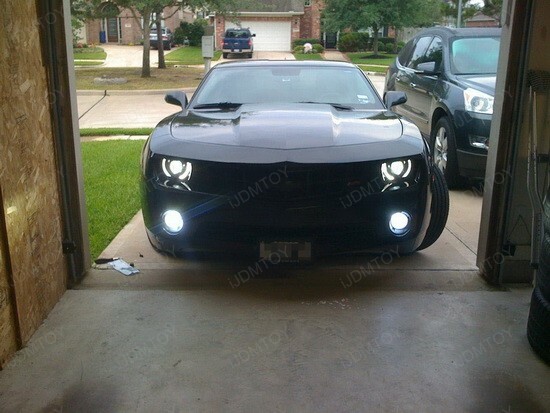 Say Who 2012 Chevy Camaro Can’t Install P13W LED Fog Lights? 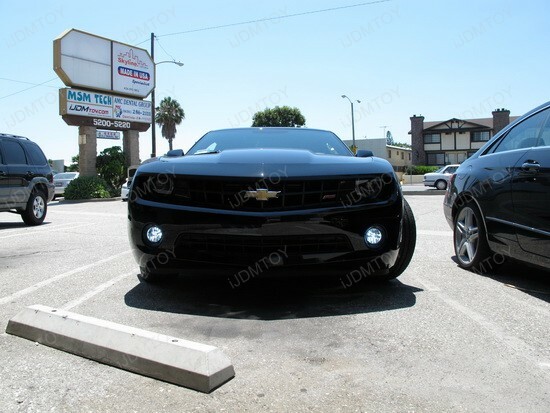 Check out these pictures installed with our new 18 SMD P13W LED Fog Lights on 2012 Chevy Camaro. 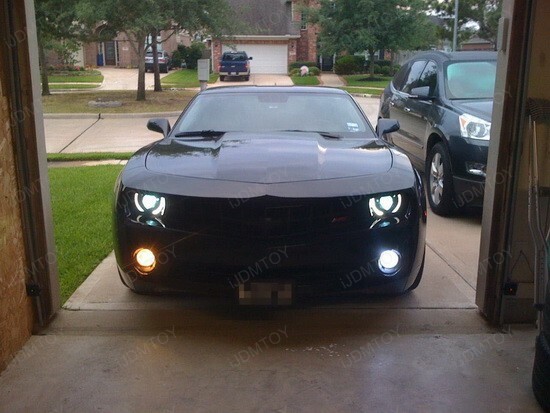 Our new P13W LED bulbs can use for 2010 2011 2012 Chevrolet Camaro as fog lights or daytime running lights. To install these P13W LED bulbs is no modification needed, just simply plug and play. 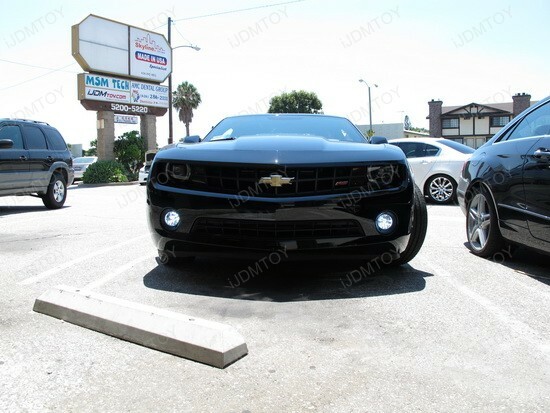 Please check this picture from one of our customer helped us tested our new CREE High Power P13W LED Fog on his Chevy Camaro. Our 5W High Power CREE-Q5/Luxeon P13W LED bulbs fit on 2010 2011 2012 Chevy Camaro with factory equipped HID headlights as fog lights and daytime running lights. To install this high power LED bulb is pretty simple, just direct replacements for the stock halogen bulbs for fog lights. 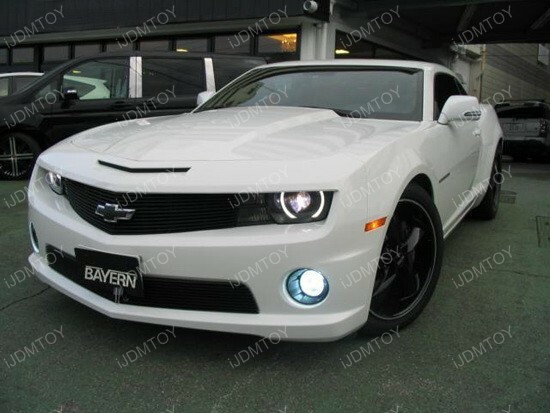 Take a look at these pictures showed our new 5W High Power CREE-SMD 5202 LED bulbs installed as Chevy fog lights on this pure white 2011 Chevrolet Camaro. Our new 5202 LED bulbs can use for most American cars such as Chevy, Ford, GMC, etc for fog lights or daytime running lights. The installation for this kind of LED light is very simple, just plug and play, no moderation required at all. 2011 Chevrolet Camaro looks great because of its masculine look but with P13W fog lights it looks amazingly hot. 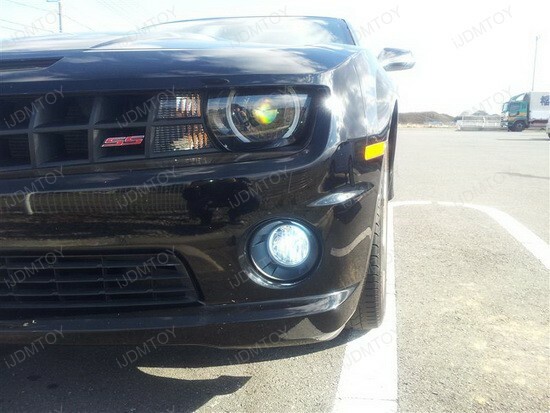 Check out the pictures of Chevrolet Camaro with all new P13W fog lights and see for yourself that how these small wonders compliment the sporty look of this car. With mere installation of P13W fog lights, you can transform your Chevrolet Camaro’s super masculine look into a breathtaking sporty look. 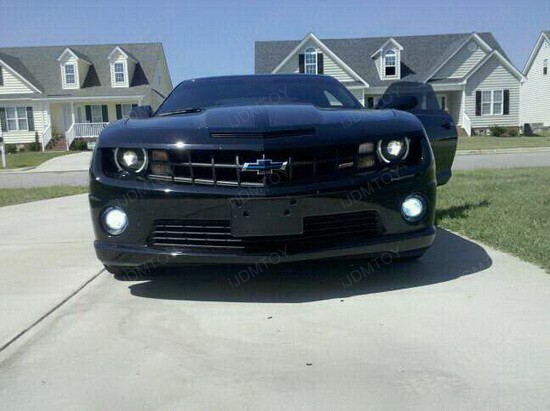 Due to Chevy Camaro fog lights, days of dull yellow daytime running lights are long gone and instead it is replaced by bright white lights. 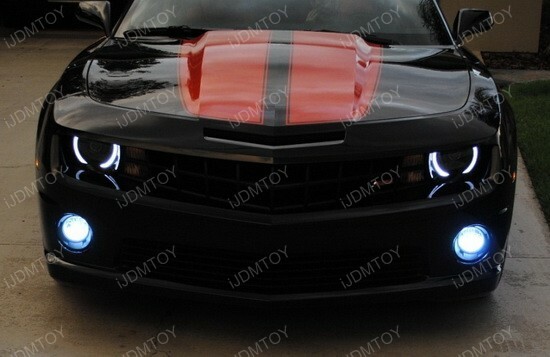 These fog lights enhance the look to your Chevrolet Camaro by giving it an extraordinary and out of the world look. Lots of people are installing bright white daytime running lights as it is highly impossible to notice the yellow daytime running lights during the day. Installing yellow fog lights is mandatory in many countries in order to comply with automobile safety standards. 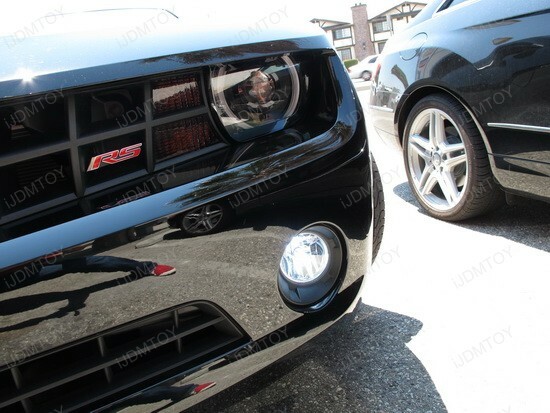 P13W fog light is an ideal upgrade when it comes to installing daytime running lights and fog lights on Chevrolet Camaro. 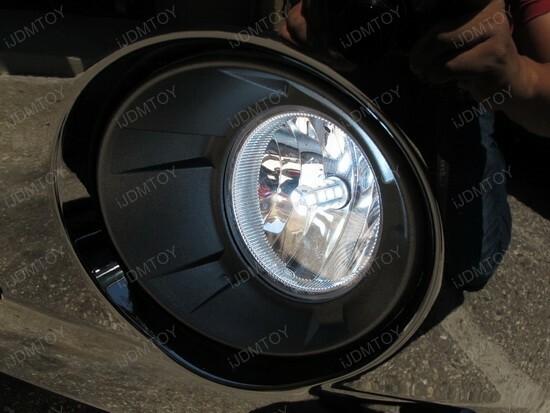 P13W fog lights are far better than other fog lights as it offers dual benefits to the users. You can use them as bright white daytime running lights during the day and by buying a small upgrade you can also use it as bright yellow fog lights at night. 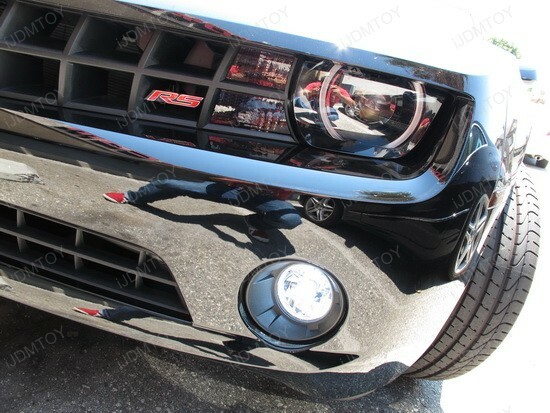 P13W fog lights works great on all models of Chevrolet Camaro made on and after 2010. The installation process is quite simple and all you need to do is just replace them with your existing lights. 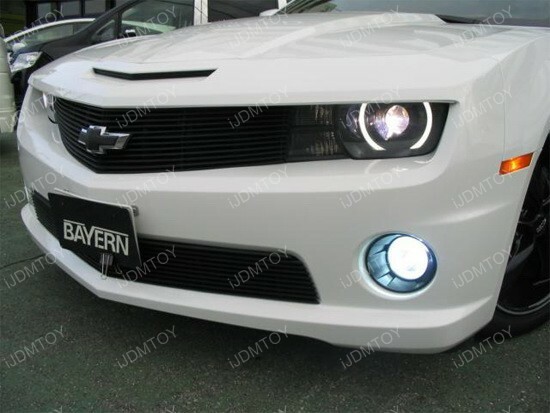 If you wish to use Chevy Camaro fog lights as both daytime running lights as well as fog lights then you can do it by installing fog light wiring kit. You can install these beauties all by yourself by carefully following the mentioned installation procedure or you can also contact iJDMTOY for assistance. 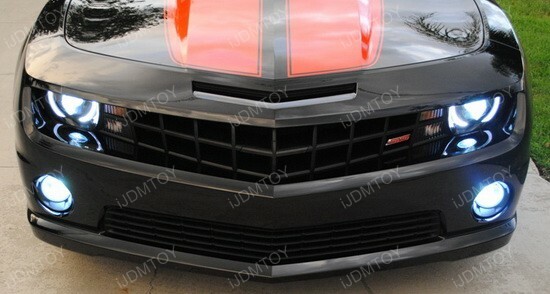 You can buy Chevy Camaro fog lights from iJDMTOY for just $ 50 and the fog light wiring kit will cost you $1.5. So, by spending an extra $ 1.5 you will be able to use these lights as both daytime running lights and fog lights. These lights do provide a HID matching color look at a much cheaper price than real HID. If you want to impress everyone by upgrading your car then you can log on to iJDMTOY.com for cool low priced deals on various upgrades.